Wrap design requires artistic talent and knowledge of the limitations of the wrap medium. The experienced wrap designer will design for clarity of message and ease of installation. Through years of trial and error and hard won experience, our team at LA Wraps has the design phase seamlessly integrated into our workflow for high quality designs that are excutable in a timely manner and with maximum impact. Legibility of lettering are impacted by font size and contrast. Get these factors wrong and the message is lost or just plain doesn’t look right. The talented team of designers at Los Angeles Wraps are here to assist you in getting the most out of your wrap budget. 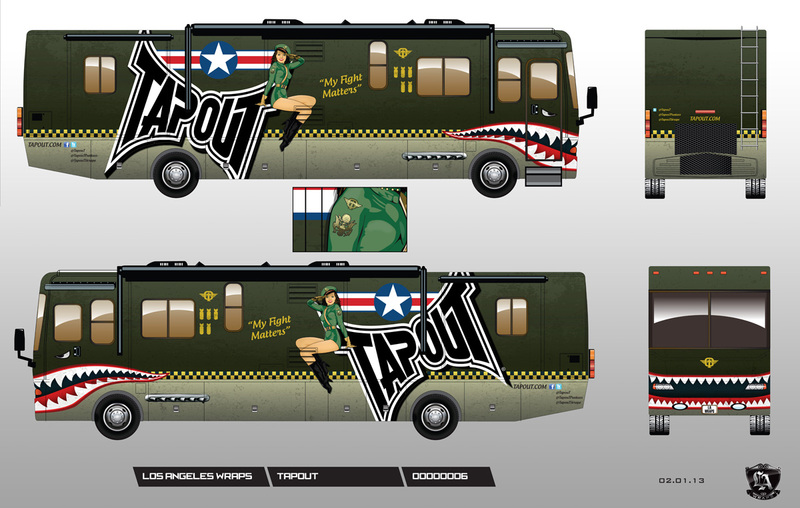 We design amazing full vehicle wraps, and can even assist you with branding. We can help create your logos, slogans, and other identity-building graphics to help your business present itself in a cohesive, sensible, and professional manner. Whether you’re going for sleek and professional, edgy and grungy, or offbeat and humorous, our designers can help you pull off the look and message that you’re trying to achieve. We can enhance your existing graphics or simply create new ones for you. Many of our designs and wraps can still be seen proudly roaming the streets, or in various media outlets serving as the “face” of our clients’ businesses. We are proud to have contributed our design expertise to many successful ventures that are still thriving today. Our work has been featured on national network and cable television shows, commercials, prominent galleries/museums (PDC, MOCA, etc), racetracks, public events, and municipal fleets. Contact us to see why many local and national brands have entrusted us to make their vehicle wrapping concepts come to life. Large format photography: High resolution photography services are available for your products on-site or on-location to help incorporate graphics into your wrap. An arsenal of pro-grade lenses and photography equipment ensure premium high resolution depictions throughout your wrap. We believe in simplicity. If you do too, you’re in luck! 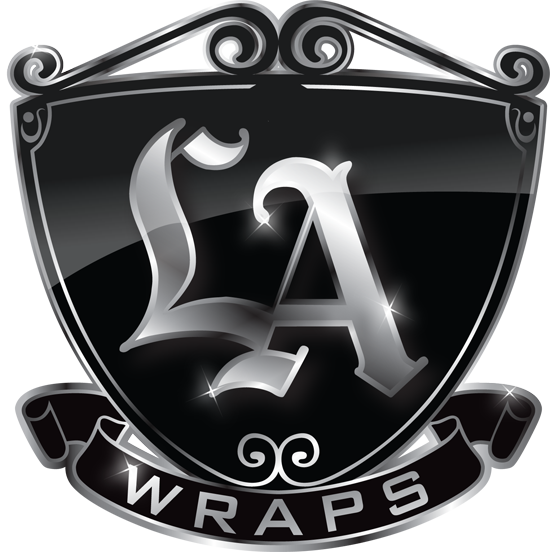 Los Angeles Wraps never charges for simple layout. Assuming you have your own logos and content in print ready form, we will lay them out and send you a proof for you to review. No file upload costs and no fee for proofs. 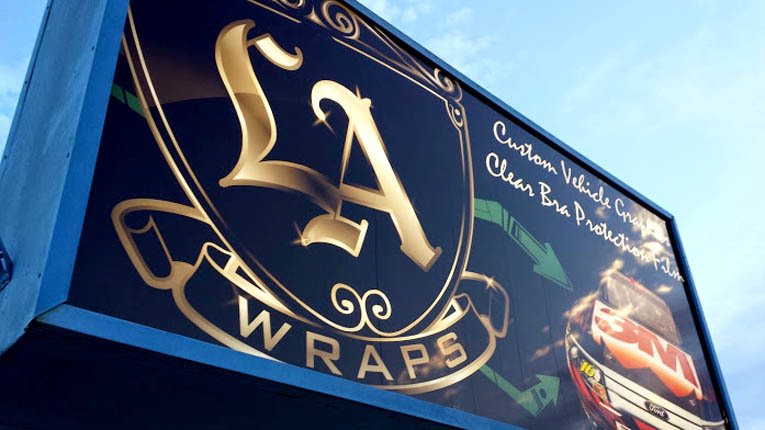 Get A QuoteLooking for that signature LA Wraps style treatment to your wrap project? We will tailor graphics to fit body contours, add design embellishments or help clean up or improve your logos if you want. Please email or call the office for more details. Let your imagination run wild. We don’t charge by the hour. We don’t discourage input, we strive to fulfill your vision and deliver the wrap of your dreams.